Happiny Valentines Day from Pokémon Dungeon! According to the Pokémon Sapphire‘s Pokédex, “Luvdisc’s heart-shaped body is a symbol of love and romance. It is said that any couple meeting this Pokémon is promised a loving relationship that never ends.” Today in honor of the lovely heart-shaped Pokémon Luvdisc, we will be giving out 90+ Luvdisc out on Wonder Trade! All of which will be holding various items: Berries, Sweet Hearts, Heart Scales or Rare Candies. If you wonder trade today and get a Luvdisc, it might be from us! Hit the jump for some special Pokémon Valentines! 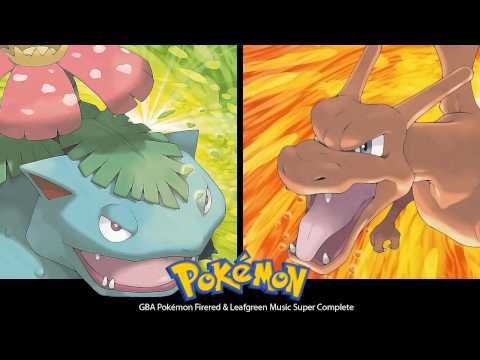 Pokemon FireRed and LeafGreen OSTs Out Now on iTunes! Following on from the release of the Pokémon X & Y Super Music Collection that was released on iTunes, the Pokémon Company has released another Super Music Collection to iTunes. This time it’s music from Pokémon FireRed and LeafGreen. The Soundtrack comes with 90 songs from the remakes of Pokémon Red and Blue and is available for $11.99 in America and £10.99/€11.99 in Europe/UK. For a Link to the soundtrack, hit the jump. Pokémon XY: What Starter Did You Choose? Hello everyone, I hope you are already playing Pokémon X or Pokémon Y! The staff at Pokémon Dungeon sure are already, we also wanted to share which starters Pokémon we picked for our adventures in Kalos. Hey Pokemon fans! Autumn here and I’m the new Editor on staff at Pokemon Dungeon. I was just transferred here from Zelda Dungeon to help the site grow and add more content for all of our lovely readers. The site is going to undergo a few changes over the next couple of months leading up to the release of Pokemon X and Pokemon Y! I hope you are as excited as I am. Take the jump to find out what’s changing. Full Restore has just started their third annual Pokemon Marathon which will run for 100 straight hours, all donations will be going to the British Red Cross Disaster Fund this year. They are starting off with Pokemon Red, but by donating enough you the viewer can choose which game they play next, which Pokemon they catch and what they are called, the name of the protagonist and their rival, as well as put restrictions on how they play. And even if you can’t donate, just watching and contributing to their quickly growing viewer count, as well as spreading the word is equally as helpful. Besides, who can resist those charming accents? We Brought You a Gift! Want to know what your friends at Pokemon Dungeon got you for Valentine’s Day?! The first of many episodes of PD’s Pokemon Black 2 video walkthrough! It’s exciting that we are finally able to kick this off, and I personally hope you guys enjoy them. More details on how this walkthrough is going to work after the jump. Happiny Holidays From Pokemon Dungeon! Happy Holidays From Pokemon Dungeon! We here in Pokemon Dungeon would like you to have fun this holiday! Whether it be you spending time on your favorite game, or when you spend your time with your family, or when you wish to play a Pokemon game throughout during the winter season right now, know that this holiday season is the season for giving, NOT STEALING. Or begging. Or Asking or whining or crying or saying things on twitter that you didn’t get the stuff you want this year, because it’s materialistic, like a murkrow. Be a Happiny this year to all your fellow Pokemon! Be an Eevee for your friend, for you are a rarity that they can cherish. Once again, Happy Holidays! During the half time of the football game, nostalgic gamer fans, or just gaming fans in general got a surprise! The marching band put on a 7 minute show to tribute around 9 games including: Mario, Pokemon, Zelda, Tetris, Space Invaders, Halo, and Pacman.